Christian. Look up definitions of the word and you’ll probably find that “person who attends Church” does not fall into any of them. To be a Christian essentially means to be a follower of Christ. And what does it mean to follow Christ? The only place to look to find the true meaning, is the Bible. “If anyone desires to come after Me, let him deny himself, and take up his cross, and follow Me.” Matthew 16:24. “For to this you were also called, because Christ also suffered for us, leaving us an example, that you should follow in His steps: Who committed no sinSin is anything that goes against God’s will and His laws. To commit sin is to transgress or disobey these laws. The lust to sin dwells in human nature. In other words, it is contaminated and motivated by the sinful tendencies that dwell in all people as a result of the fall into sin and disobedience in the garden of Eden. This... More.” 1 Peter 2:21-22. There are many more verses that say the same thing. To be a true follower of Christ is about what happens on the inside. Jesus was a man like us, yet never once did He sin. Because of this He made it possible for us to also overcome sin. To be a Christian means that I am walking on this way of overcoming the sin that I am tempted to. Outward forms and customs, the appearances that we keep before people, or being a member of a particular church are not the things that define what being a Christian is. You could think then, is it even necessary to go to church? As long as I have God’s Word that shows me the life that Jesus lived, can’t I just be a solitary Christian, following Him on my own? While this might sound theoretically possible, the apostle Paul uses the illustration of a figurative “body” to explain that if we really want to make progress, we need each other. “From whom the whole body, joined and knit together by what every joint supplies, according to the effective working by which every part does its share, causes growth of the body for the edifying of itself in love.” Ephesians 4:16. Here we can see that all true Christians are members of this body of ChristThe body of Christ is made up of all of those who give their lives to serve God in order to come to the fullness of Christ. They work in the ministry that He has appointed them, which differs from person to person, for the edification of themselves and others to bring all to unity. It is made up of... More (v11-12), and as such, we need each other so that we all can progress on the way He opened for us. We might not all have the same role in the body, but when I am faithful to truly follow Christ and stand firm against the temptations to sinTo commit sin is to consciously do something that you know goes against God’s will. This can be in word, deed, or even thought. (James 1:14-15)... More that I meet in my life, then I am “doing my share.” I am causing the growth of the body. That’s why we need to come together regularly, to edify and encourage each other to stand in temptation. While I know that Christ looks to the heart and that I can get spiritual nourishment from the Bible and other Christian writings, I also know that I still need the encouragement I get from going to church. I sense this especially at times when I am not able to attend all of the meetings, due to work or school. It refreshes and uplifts me to hear the gospel of Christ preached by faithful men of God. And when I see other members of the body of Christ, I am strengthened by knowing that there are many people fighting the same fightAlmost all talk of battles and wars when concerning a Christian life refers to the inner battle that arises when a sinful thought tempts you. God’s Spirit and the flesh are at odds. When you have decided to only do God’s will and are being led by the Spirit, a conflict between the flesh and the Spirit arises: there is... More of faith that I am. Listening to these people testify about the help they’ve received from God’s Word and where they have gained victory, helps me to get more light and continue following Christ on the way of overcoming sin“Victory over sin” means that you do not commit conscious sin – that which you know would be sin at that time when you are tempted. It doesn’t mean that you are without sin, but that temptation is overcome before it can become sin. (Romans 8:37; 1 Corinthians 15:57; Revelation 2:7)... More. “Till we all come to the unity of the faith and of the knowledge of the Son of God, to a perfect man, to the measure of the stature of the fullness of Christ, that we…may grow up in all things into Him who is the head – Christ.” Ephesians 4:14-15. 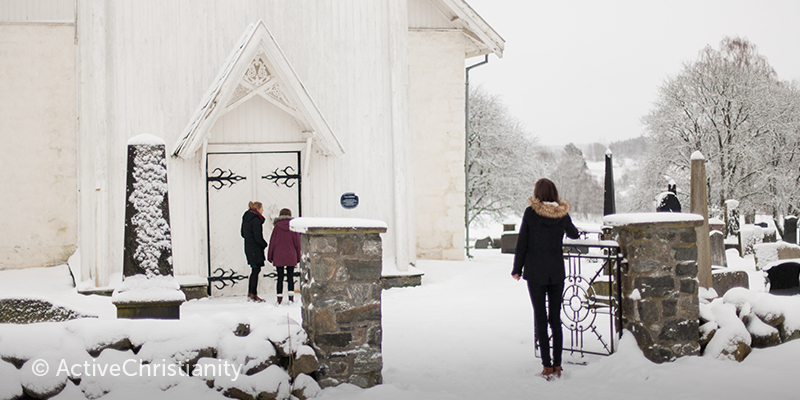 There are no hard and fast rules in the Bible about attending church. However, the author of Hebrews makes it clear how members of Christ’s body should take it. “Let us hold fast the confession of our faith without wavering, for He who promised is faithful. And let us consider one another in order to stir up love and good works, not forsaking the assembling of ourselves together, as is the manner of some, but exhorting one another, and so much the more as you see the Day approaching.” Hebrews 10:23-25. We need to confess our faith to one another, thereby stirring each other up to love and good works! A true follower of Christ will find that they do need to attend church; there they receive help and encouragement from, and fellowshipFellowship means communion with other Christians who are living the same life that you are. It includes mutual edification and a unity in purpose and spirit that goes far deeper than friendship or human relationships. (1 John 1:7) We also experience fellowship with Christ when we overcome sin in the time of temptation just as He did when He was... More with, those who are working to build this body of Christ.